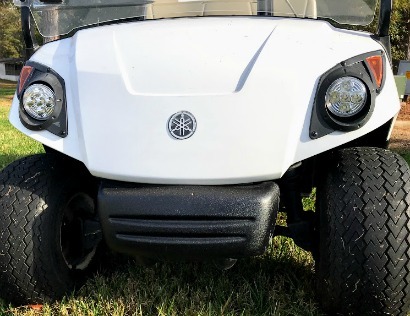 If you're looking for Yamaha golf cart parts, there are many reputable on-line parts stores that provide you with easy ordering, technical support and quick shipping. 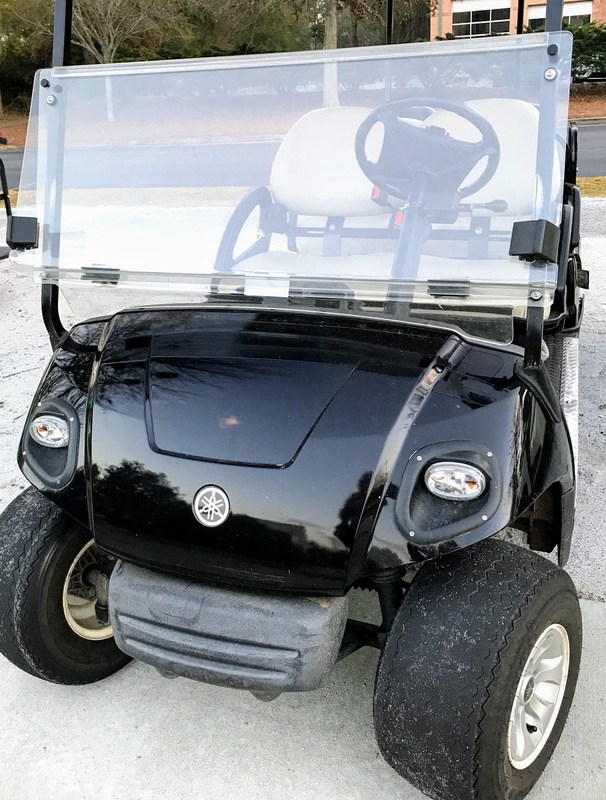 Parts for Yamaha golf carts can be purchased from your local Yamaha Golf Cart dealer or for more convenience go to an online golf cart parts store like Everything Carts. The model numbers begin with the letter "G." The serial code begins with the letter "J." Believe me Yamaha does not make it easy to find - they can be found in several different locations depending on the model. or Stamped in the Frame. Unlike a car, it's easy to order and replace golf cart body parts. 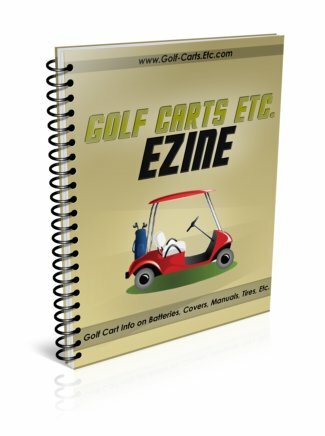 You can find parts easily at e-Bay, Amazon, Buggies Unlimited or Everything Carts. Perhaps the front cowl of your golf cart slammed into something that doesn't move - like a tree. Instead of trying to repair it, just order a new front cowl - unless of course you like to do fiberglass work. Other body parts that can be replaced or customized are rear fender panels, the golf cart windshield, golf cart roof or top, and side trim. Style enhancements like brush guards and fender flares add a custom look to any cart. Golf cart windshields periodically need to be replaced. Perhaps it has a crack or the pixels has become foggy. Maybe you just want to upgrade your existing clear windshield for a tinted windshield. This Yamaha golf cart part is specific to your model and year cart. It's easy to replace by ordering on line with free shipping. 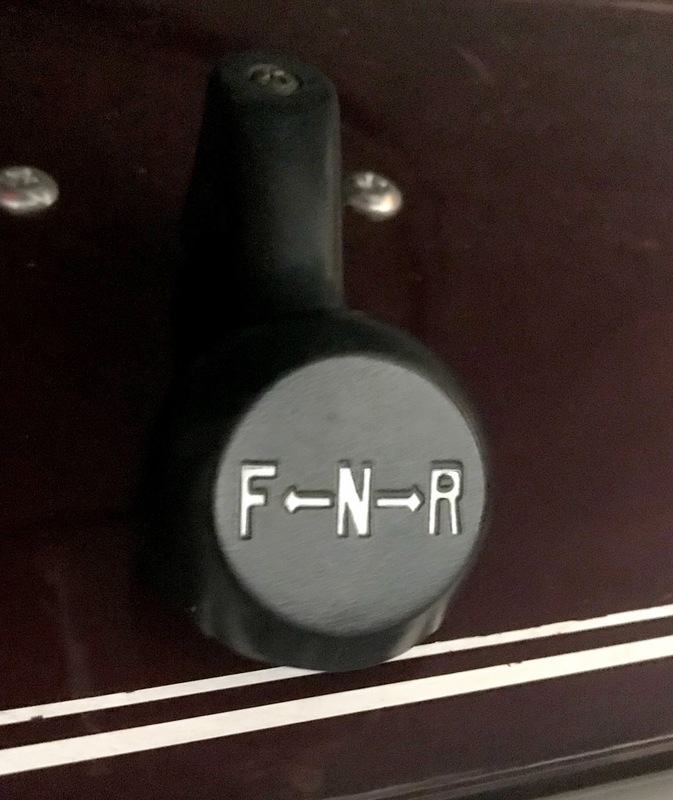 The forward and reverse switch is a part that can go out on your cart and can be replaced by a golf cart owner. Be sure to disconnect the battery before installing this part. Solenoids get constant use and are a part that needs to be replaced on occasion. Solenoids are specific to either gas or electric carts and to 36V or 48V carts. 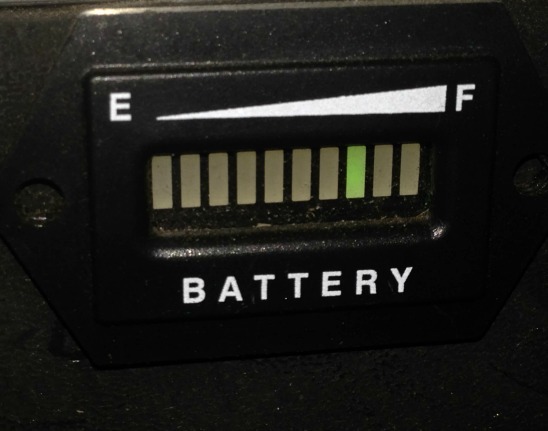 A golf cart battery charge indicator can be a universal golf cart part such as this one. There is one for 36 volt golf cart batteries and one for 48 volt golf carts. 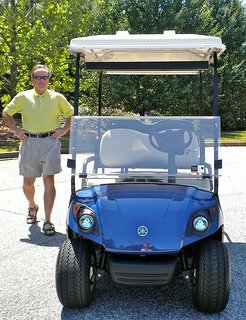 Besides looking good, you may want to improve the performance of your golf cart. Give it some extra power for going up hills or give it a speed boost with upgraded motors, high speed gears or high performance engines. Amazon sells speed kits specific to Yamaha electric or gas golf carts. Each kit contains a new speed motor, a matching controller, and all the necessary components and hardware you need to perform your upgrade. They also include a complete set of color instructions to guide you through the installation process. This performance kit is good for golf cart owners who own non-lifted golf carts, but want more speed. These kits work well with golf carts that are used mainly on flat surfaces, such as streets or golf course paths. If you live in a gated community and use your golf cart for street driving or golfing, this kit is for you. It is not recommended for lifted golf carts or for off-roading. 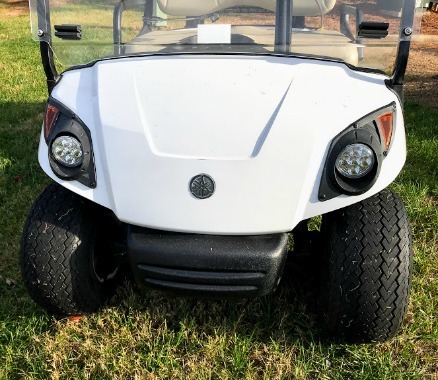 I'd like to tell you that golf cart lights are helpful for driving to a restaurant in the evening or running to the store after dark to get a loaf of bread, but really I need the headlights for playing those last 2-3 holes of golf at the end of the day. 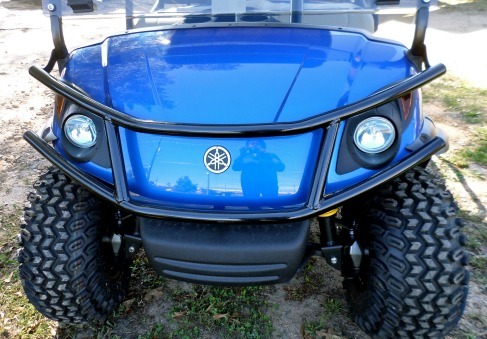 Yamaha golf cart lights can be purchased as just a headlight kit or a headlight and rear light kit. The most complete kit that fits Yamaha G2/G9 is the cheapest at $99. It includes two halogen headlights and two LED taillights pre-mounted in black plastic bezels, a wiring harness, and an on/off switch. Installation instructions are included as well as a template for a precise cut to install each light. 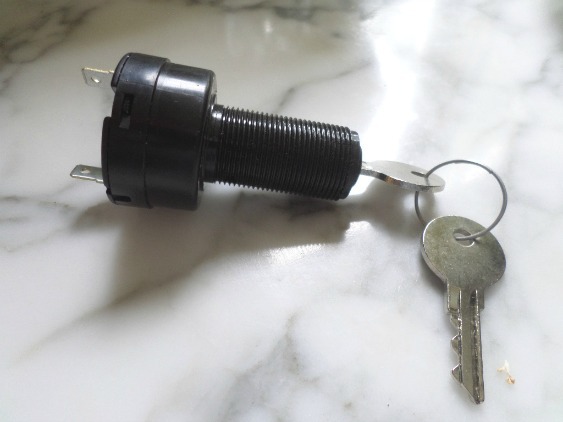 Replace your common key that can make it easy for someone to ride off with your golf cart with an uncommon key switch and key. Keep your Yamaha golf cart running or enhance it with golf cart body parts. Do it your self and save lots of money, have some fun and get a custom look.